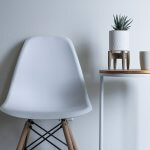 Minimalism is something that has had a massive impact on my life. A little while ago now I found myself at a point where I was constantly feeling stressed and overwhelmed, even when I didn’t really have a reason to feel that way. After a bit of soul searching and life accessing I decided it was because our life was too hectic. We seemed to dash from one thing to the next, trying to cram as much into one day as possible and then repeat the process every day after that. I was drained and exhausted. I decided that the way we were living wasn’t sustainable and we needed to do something about it. We needed to simplify! 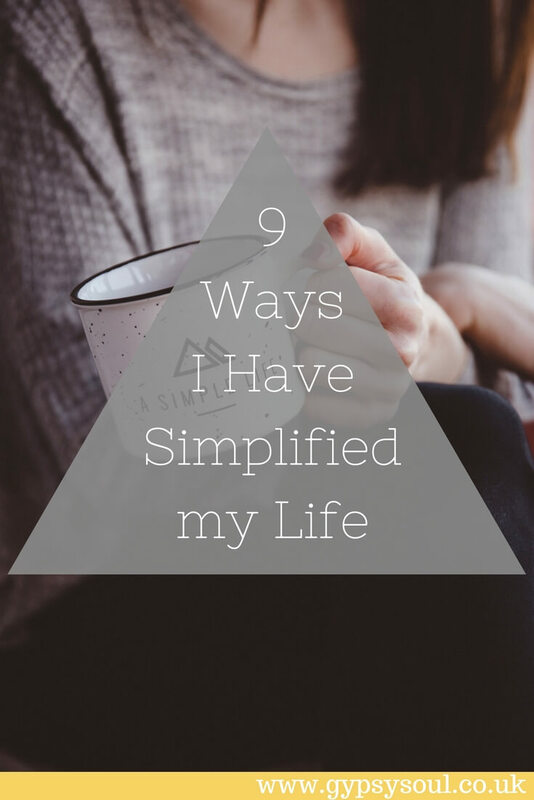 Simplifying our life has not been easy. It has taken a lot of effort and hard work but it was so worth it. Don’t get me wrong it’s not all plain sailing. We still get stressed about things, I don’t think you could ever create a life without any stress at all, but it’s nowhere near as much as we used to. 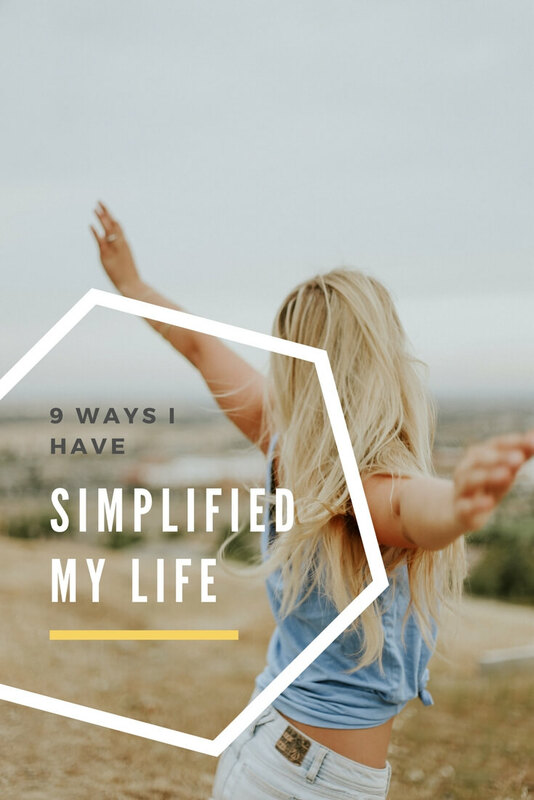 Today I thought I’d share with you the 9 main ways that I have simplified my life. Probably the biggest step we took towards simplifying our life was by downsizing our home. When you say downsizing to someone they automatically think of a smaller home, however, our new ‘downsized’ home is actually bigger than our last home. I know sounds odd right? Our new home is larger by square metre. Our old home was 66 sqm and our new home is 80 sqm. The difference is that our new home doesn’t follow the traditional layout you’d expect from a home. Our old house was your typical double fronted detached property which from the outside looked pretty impressive. Our new home from the outside looks like a two up two down, tiny terraced house. However, once you get inside there’s a lot more to see. 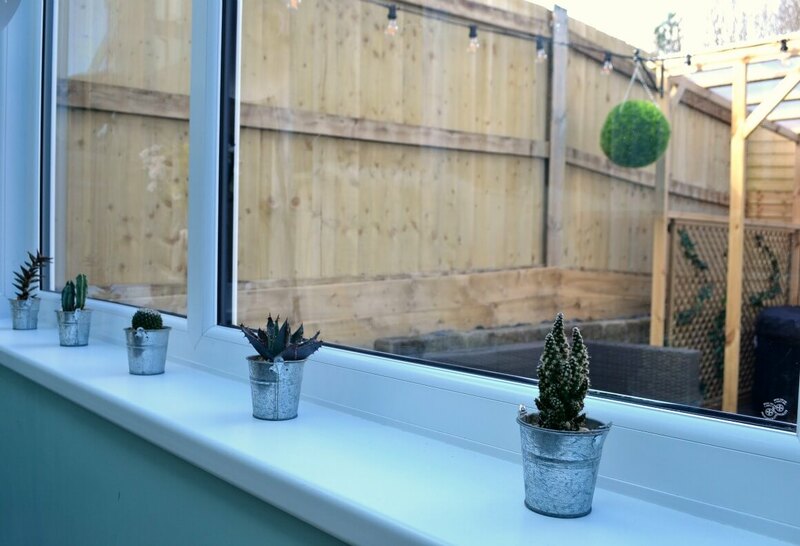 With our new home, we have gained two extra rooms, a conservatory and an office. So although our old home looked good from the outside it didn’t have everything we needed inside. Because our new home looks small from the outside it was a lot cheaper than our old home. By buying our new place we instantly reduced our mortgage by 10 years! We also have plans to make yearly overpayments to further reduce our mortgage by another 10 years. We’d like to be mortgage free by the time I’m in my 40’s. 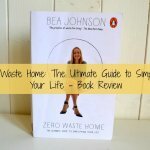 Before we moved to our new home I spent 2 years decluttering! It was really hard and at times I just wanted to give up on it all. Before our old house, we lived in a much bigger house and that was our downfall. We just filled it with stuff! When we moved from that house the true extent of how much stuff we had acquired became very apparent. We had so much stuff that we couldn’t fit it into our new home and so we had to fill our garage with all the overflow. Looking back now that was crazy! Once we’d moved in I went on a mission to get rid of it all. It took two years because I wanted to make sure the stuff we didn’t want any more would go to somewhere where it could be used by someone else. Although it took 2 years and was a pretty draining process it’s probably the best thing I have ever done to improve our lives. We now only have items in our home that we truly need or love. 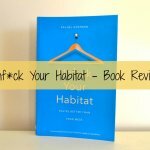 Related Post: How I Finally Got Our Home in Order Once and For All! To complete our decluttering I used the *KonMari method. 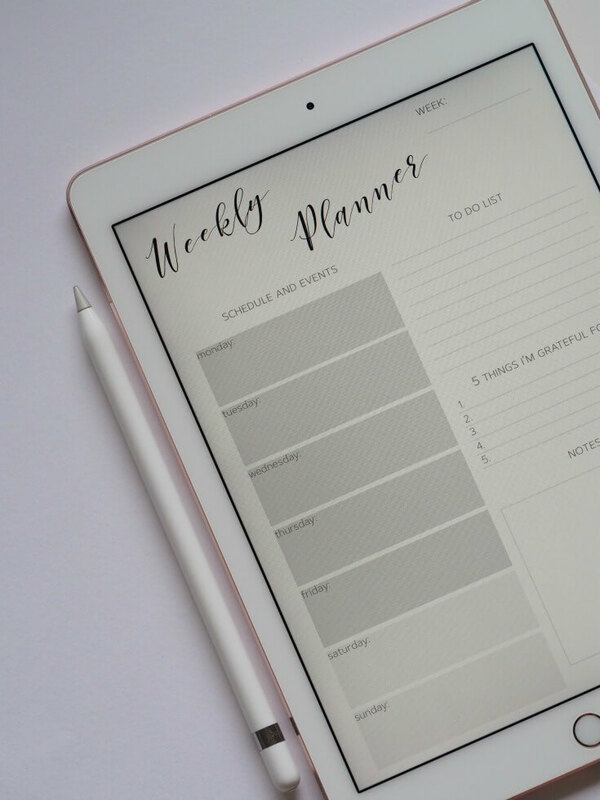 If you’d like to give it a go I’ve created this FREE KonMari checklist to help you. Once we had moved into our new home with less stuff I then went on a mission to organise everything we had left. We’ve only been in our new home for 3 months now so this is still an ongoing process but what I have done so far I’m very happy with. Every single item in our home has a place. We have a charging station for all of our gadgets, we have a cable draw and a remote draw. I’ve even gone as far as using a magnetic strip to organise our spices. Everything has a home. The benefits of this are that you always know where to find something and the house tends to stay tidy without much effort. I also spend significantly less time cleaning as I don’t have obstacles in my way. I can pretty much clean the entire house in an hour now compared to 3 hours previously. I’ve also created weekly schedules and chore charts for the children so we know what we’re doing every day. Simplifying what we eat happened by accident. I didn’t set out to make it that way it was an organic process. I have IBS, I was diagnosed when I was a young teenager and have suffered from it ever since. When I was younger I just used to put up with it. Then we had kids and they became more important to me than my own health so I just ignored the condition. Now the kids are older I’m finding that they need me less and less which has given me more time to start assessing how my body is doing. I decided it was not doing great! 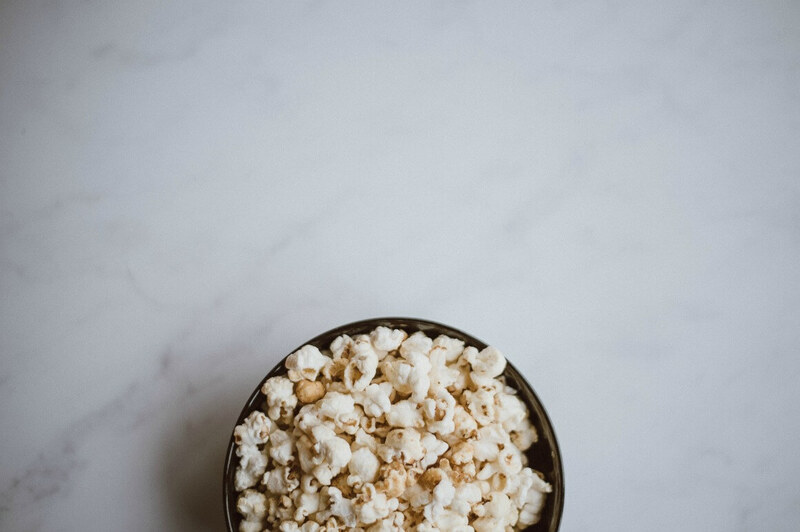 I did some research on IBS and came across the Low Fodmap Diet and decided to give it a go. It’s a complicated diet but essentially it means you cannot eat any processed foods. This has meant that I have had to simplify the food we buy. I now cook everything from scratch and because I’ve stopped buying junk food our weekly food bill has reduced. On average we now spend about £35 on our weekly shop. Which is great! I’ve also started using a 6-week meal plan which may sound crazy but it really works! 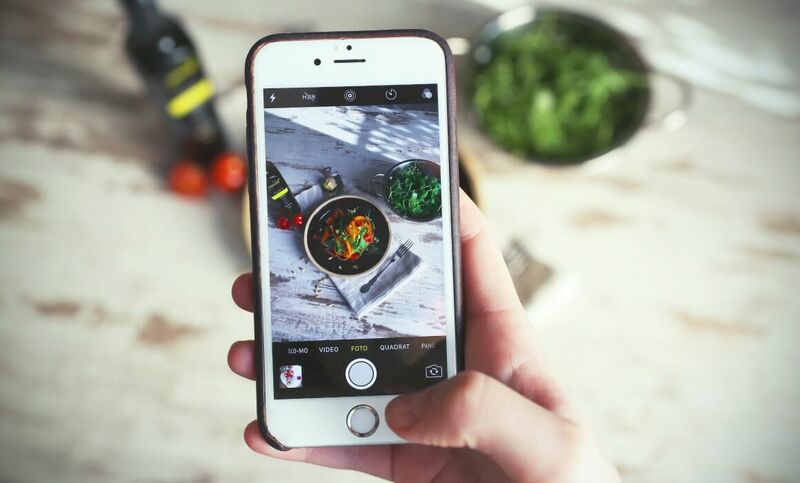 Check out my post on How To Simplify your Food & Eating Habits for more information about that. We had never been a fan of meal planning. We used to go to the supermarket with an ‘open mind’, see what deals were on that day and then make up meals as we went along. This can work really well as you get some great offers and can save quite a bit of money. However, with this Low Fodmap diet, you just can’t do that. You need to know the exact ingredients for each meal as one wrong thing can cause you problems. So I had to start meal planning every week. I sit down on a Sunday evening and write down an entire week of meals. I then create a shopping list using the notes on my phone ready for the next day. It sounds like hard work but it doesn’t take long and has made a huge difference for us. Our cupboards are no longer overstocked with food, we have reduced our food waste even further and we’re eating healthy meals. I’ve also managed to get my IBS under control so it’s good news all around. 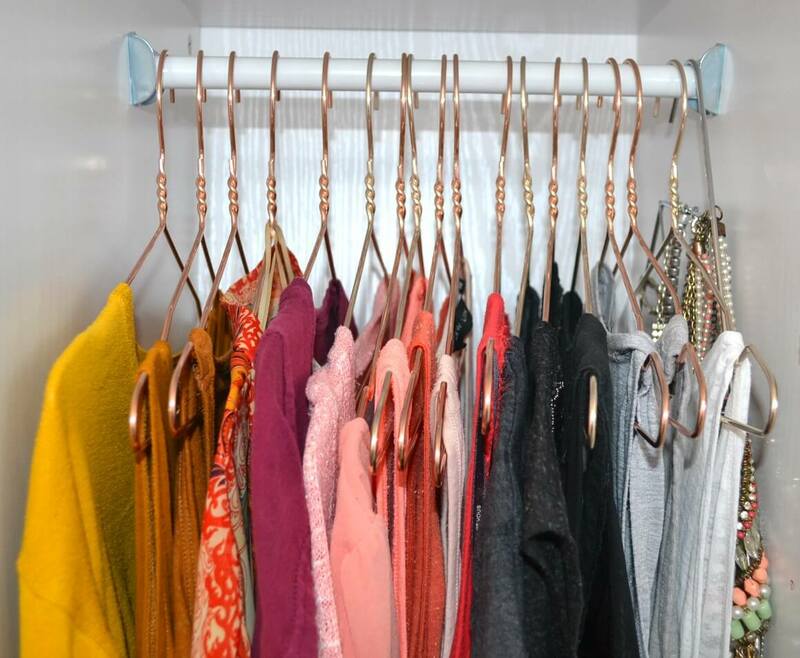 A capsule wardrobe is where you reduce the number of clothes you own to only the items you really need and love. The trick to success is having items of clothing that can be mix and matched with the other items you have to create different outfits. I’ve found the best way to do that is to choose a colour palette. Some people like to think of it as your personal uniform. By having fewer items in our wardrobes we not only spend less time deciding what to wear each day but I also spend far less time doing laundry. On average we now do 3 loads a week and we’re a family of 4. As well as simplifying my wardrobe I’ve also minimized my beauty routine. 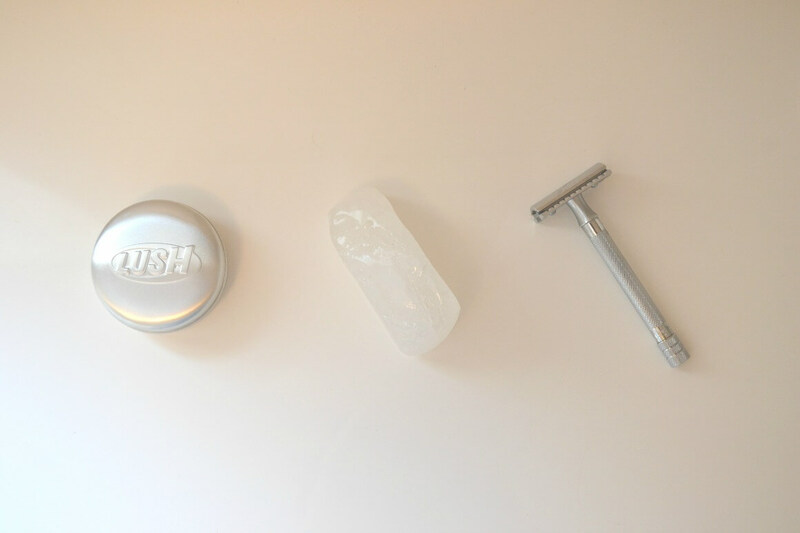 I no longer buy the latest beauty products and I have a lot of products that can be reused like my safety razor, alum stone and body brush. I’m a country girl at heart and have never really lived in a town before which is why I was a little apprehensive about our latest move. I was worried I would feel claustrophobic. We’ve been here 3 months now and I don’t feel like that at all. One of the upsides of living in a town is that everything is close by which means I spend less time in my car. We also spend a lot more time walking to places, which not only makes us healthier but also reduces the amount of petrol I’m having to buy and reduce my carbon footprint. 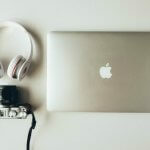 As well as dealing with our physical clutter I’ve also dealt with our digital clutter. I’ve unsubscribed to emails that I never get time to read. I’ve organised my computer and now have separate files for everything. I also spend time each Sunday going through my phone and bulk deleting photos that I no longer want. 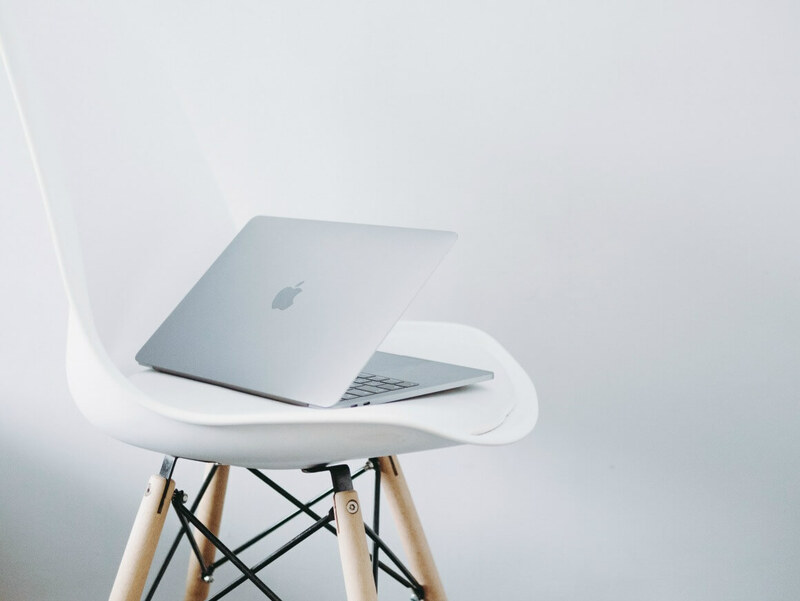 I think digital clutter is something that can easily be overlooked but it can have a big impact on your wellbeing. Clutter of any type causes anxiety so the less you have the better you will feel. So what about you? 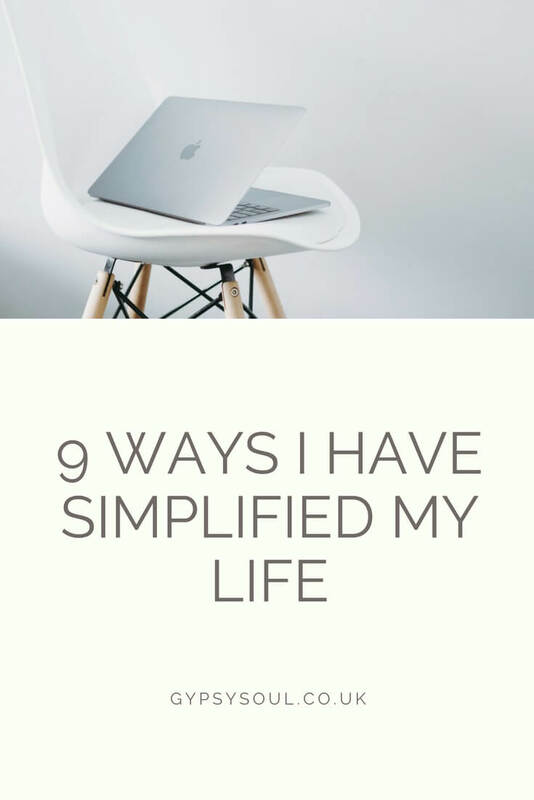 Could you do with simplifying your life? If so why not try out my FREE 7 Days to Simplify your Life course using the form below. I definitely need to declutter a lot of belonging – my room takes the mickey! 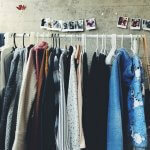 I love the idea of a capsule wardrobe as well – sounds like I need someone like you to come and sort me out! Once you get into the decluttering it definitely gets easier and almost addictive. I’d recommend starting small and seeing how you get on. Digital declutter is so cleansing! I do mine once a week too and really reap the benefits. It does make you feel good, doesn’t it? Hi I am signing up for freebies etc but have not received any emails with codes or with my 7 day simplify. Am I doing something wrong? Hi Christine, I’m not sure why that is happening? We’re are away at the moment but when we get back tomorrow I’ll check it out for you. Hi Christine, I’m back in front of my desk now. Please, could you email me at ginacaro@gypsysoul.co.uk with the name that you signed up with and I’ll look into this for you?